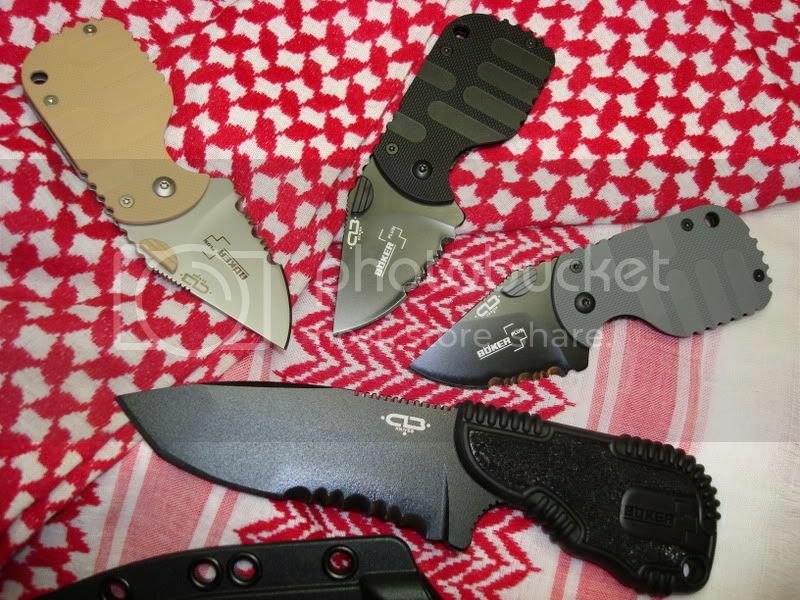 I recently received three Boker Subcom folder knives (tan, black, and gray) and the MPT with black finish. The subcoms frame locks have a "beautiful" lockup, fit, and finish. 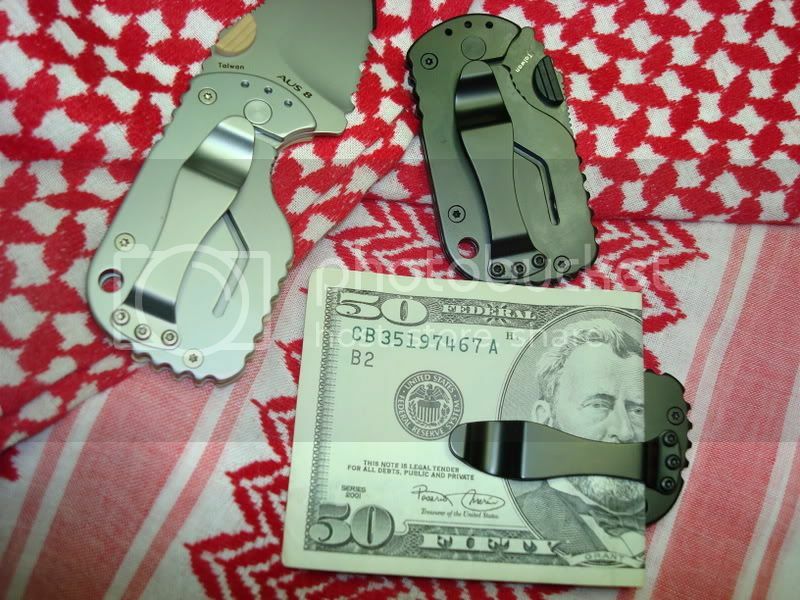 As you can see, they make excellent money clips and fit pretty well in the pocket. 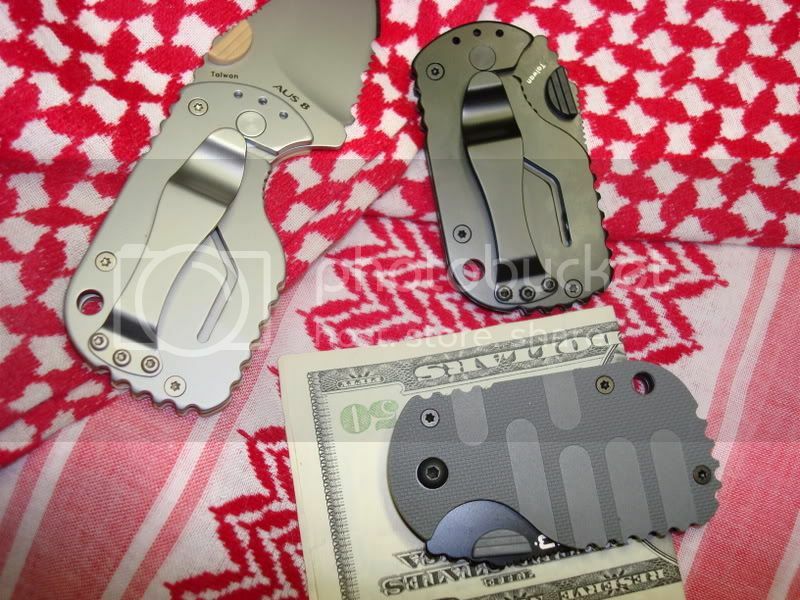 Nice handy little cutters. The MPT comes with a sheath & variable mount that is not the most high quality looking mounting system but not too bad and I have not had the opportunity to actually carry the system. 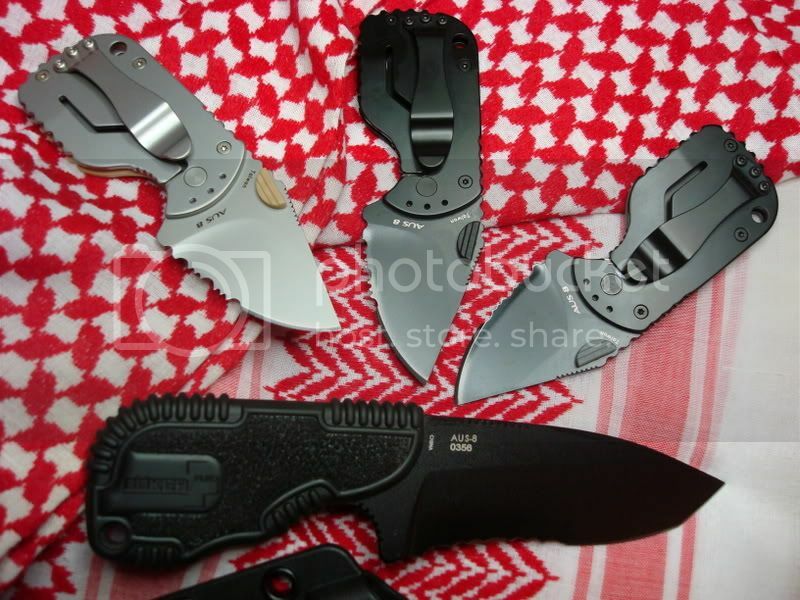 These knives are scary sharp and appear to be VERY well designed and made. All in all I'm quite impressed. Totally agree! These bokers are the bomb! Great size combined with not too shabby metals and a decent price point make them a definite winner! !